Johnny Caswell runs down the list: "The Academy Awards. The Grammy Awards. The American Music Awards. The MTV Video Music Awards. The Billboard Awards. The ESPYs. The Golden Globes. On and on and on--it never stops." 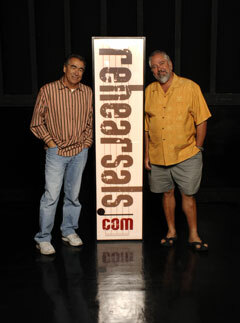 Caswell, his partner Jan Parent, and their company, CenterStaging Musical Productions, are responsible for the music production needs of every major music-oriented awards show on television. "We provide instruments, technicians, trucking, and pre-production," Caswell says. "We work with the producers on the structure of the show, the way things flow. We're an integral part of the process." The scale of television productions can vary greatly, Johnny says: "On shows like The Tonight Show, they'll have maybe three bands a week. The band comes in early in the morning, we bring out the gear and set it up, and it shoots at maybe 5:00 or 6:30 at night. That's a one-day one-off. But at the Grammys, you're doing 20 performances that are all 'ta-da!' They stay up nights trying to think up ways to make it bigger and grander. Sometimes we're still adjusting things on the day of the show. We start working on those shows a month in advance, and we're at the venue for about a week." Yamaha's are the most beautiful pianos in the world, with the most reliable MIDI systems. Over the last 20 years, the company has developed innovative ways to handle such daunting production demands. "For example," explains Jan, "we've developed rolling risers to get the equipment on and off the stage quickly. We secure the equipment on the risers, so they don't have to reset it every time the artists go out. And we set up each band as an individual act, not sharing any equipment, so they can just roll in and out." One unique challenge is the care and feeding of CenterStaging's pianos. "These pianos need a lot of love," notes Johnny. 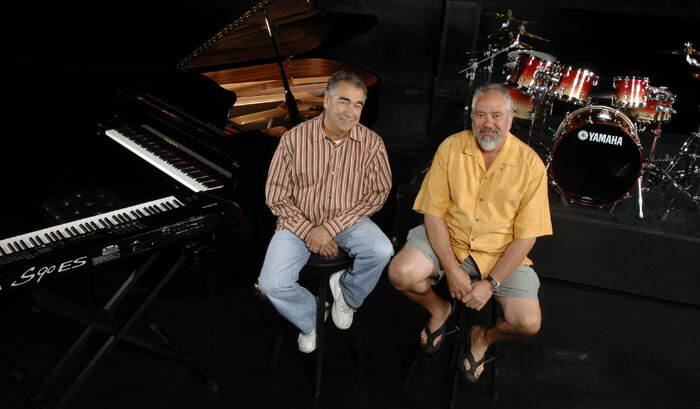 "We have a wonderful mover, Music Transport, that has moved our stash of Yamaha pianos for television for 16 or 17 years. Yamaha has put a whole pile of pianos into our arsenal. They're the most beautiful pianos in the world, with the most reliable MIDI systems. They service well, and we move them around a lot." The 7'6" C7 Concert Collection Grand is the workhorse of the Yamaha fleet, Johnny says. "I think we have seven. Yamaha makes the most wonderful, bright, crispy-sounding piano on the planet--there's not a better piano anywhere. We do all the biggest shows in the world with them--every time you see a Yamaha piano on television, it's pretty much out of our stash." As busy as CenterStaging is with their television business, it's hard to believe that's only part of what they do. They also provide rehearsal space for musicians ranging from Aerosmith to Usher at their flagship facility in Burbank, California. And their East Coast branch, located outside Philadelphia, provides rehearsal services plus television support from New York to Florida. "Television is our big baby," says Caswell. "But we have 11 rehearsal studios as well. We do a lot of showcases here. And we also have a full broadcast center, where rehearsals.com is based." Rehearsals.com, Centerstaging's latest innovation, features Internet broadcasts of dozens of musical artists from different genres performing at CenterStaging's Burbank facility in preparation for tours, recording sessions, and television appearances. "It's the opportunity of a lifetime to be involved with these artists as they make their music and put together the art of entertainment," Johnny says. "So we said, hey, wouldn't it be great if we could capture this, package it, and market it globally? But we don't want to invade the artists' space, so we developed a way to capture what's going on in these studios without contaminating the environment, using high-definition remote cameras. The artist is barely aware we're there. We're doing some wonderful stuff using this method." Parent and Caswell have more big ideas in store. "One goal is to expand into New York City," says Jan. "And we'd like to put a facility in Las Vegas, because there's more music in one square mile in Las Vegas than in any other city in the United States." "We'd also like to get into education, and be an accredited university one day," Johnny adds. "We have lofty goals! We want to have an impact on this industry, and try to bring a little nobility back into it. We used to influence the world--we brought down the Berlin Wall with our music! We sent the message to everyone that we were a beacon on the hill, a bright light. And that light's dimmed a little bit. Our music has dimmed a little bit. But we'll get it back."